The necessary conditions for the creation of a federal united Cyprus do not exist, Turkish Republic of Northern Cyprus (TRNC) Foreign Affairs Minister Kudret Özersay said on Wednesday. 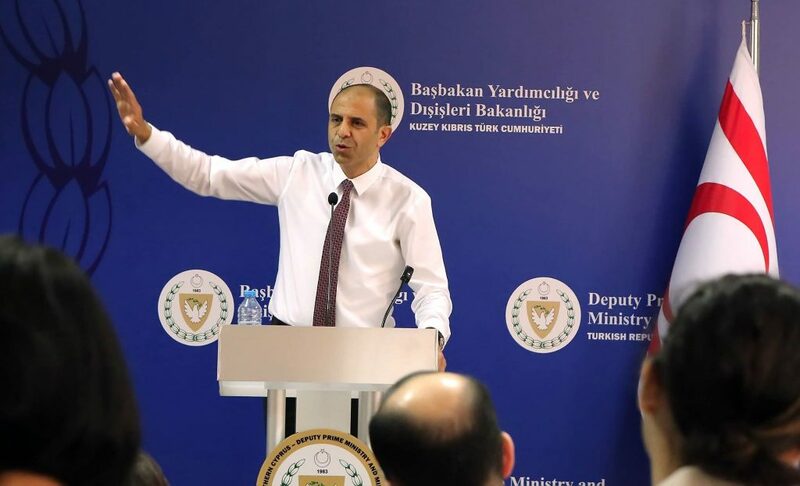 Prof. Özersay made the comments at a major conference held at Near East University (NEU), on the outskirts of Lefkoşa, North Cyprus, organised to debate “alternative” solutions to the decades-old impasse between Turkish Cypriots and Greek Cypriots. “Like it or not, the necessary conditions for a federal partnership to be founded and sustained do not exist on this island today,” he said. On-off negotiations between the two sides have focused on creating a new “bizonal, bicommunal federation”, agreed in principle by the late leaders of Cyprus, Rauf Denktaş and Archbishop Makarios, in 1977. In 2004 Greek Cypriots overwhelmingly rejected such a plan put forward by former United Nations chief Kofi Annan, while Turkish Cypriots voted in favour of it. Despite the outcome, the Greek Cypriot side was admitted as a member of the European Union just days later, while British and EU pledges to help end the international isolation of the Turkish Cypriots were never fulfilled. Intensive efforts to solve the Cyprus issue following the election of Mustafa Akıncı – a fervent proponent of the federal model – as TRNC President in 2015 collapsed in July 2017, when a summit in Switzerland involving Turkey, Greece, the UK, the EU and UN Secretary-General Antonio Guterres ended in acrimony. Mr Guterres then seemed to suggest the UN was open to different solution models and methods when he asked the sides to “reflect on the way forward”. In July 2018 he appointed American diplomat Jane Holl Lute as a “temporary” consultant to gauge whether or not “common ground” exists on Cyprus for new negotiations. Ms Lute is due to hold a further round of meetings with Mr Akıncı and Greek Cypriot leader Nicos Anastasiades in Cyprus on Sunday – despite Mr Guterres saying last September that he was “eagerly” awaiting her report. Addressing the audience with the closing speech of the three-day NEU event Prof Özersay, who is also the TRNC’s Deputy Prime Minister, said that the two sides of Cyprus did not trust each other and that Turkish Cypriots needed to make better use of the talks hiatus. “After the failure of the [2017 talks] the United Nations attempted to do something . . . which they have not attempted to do for the last 50 years,” he said. Prof Özersay questioned why Ms Lute had not yet reported back to Mr Guterres, calling on her to wrap up her work “without further ado” and put forward her assessment. He called on the UN “in particular” to put an end to the “period of pretence”. Prof Özersay also touched on Brexit, noting that it would mean “another guarantor country” would be outside the European Union and that this could lead to a new “strategic partnership” between Turkey and Britain. 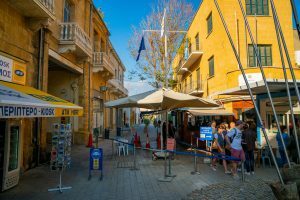 The UK, along with Turkey and Greece, are the three “guarantors” of the Republic of Cyprus, as it was established in 1960, although Turkey remains outside the EU. 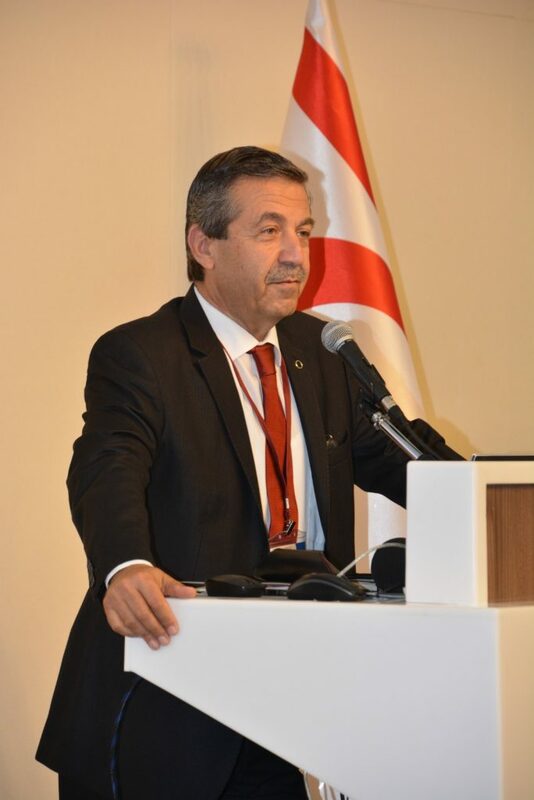 Others who spoke during the NEU conference – entitled The Cyprus Issue: Past Present and the Vision for the Future – included Özersay’s predecessor Tahsin Ertuğruloğlu. In his talk “One Island, Two States”, he said on Tuesday that any solution would need to be based on a “partnership of two states”. 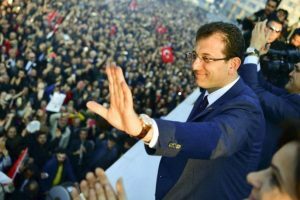 “If there is going to be a new partnership, political equality by itself is not enough,” Mr Ertuğruloğlu said. “Effective participation and decision-making mechanisms are not enough. For these to have any meaning at all, they must be based on sovereign equality. He added: “The reality is that there are two national entities on the island of Cyprus. There is no Cypriot nation… There has never been a Cypriot nation. Mr Ertuğruloğlu said that it would “not be the first time” that two states have existed on the same island, citing Haiti and the Dominican Republic as an example. He also cast doubt on suggestions that two states in Cyprus could both exist within the EU. Hasan Ünal, a political scientist at Istanbul’s Maltepe University, warned that a federation in Cyprus could be “a recipe for disaster” because it would be “cumbersome and awkward” to administer with ethnic quotas, and almost everyone would eventually resent it. The professor suggested that Russia could recognise the TRNC in exchange for Turkish recognition of Crimea as part of Russia. Cyprus-born journalist Yusuf Kanlı, who writes for Turkey’s Hürriyet Daily News, said that Turkish Cypriots and Turkey should “compel” the Greek Cypriot side to accept a “velvet divorce” by preventing them from exploiting any offshore natural gas reserves. 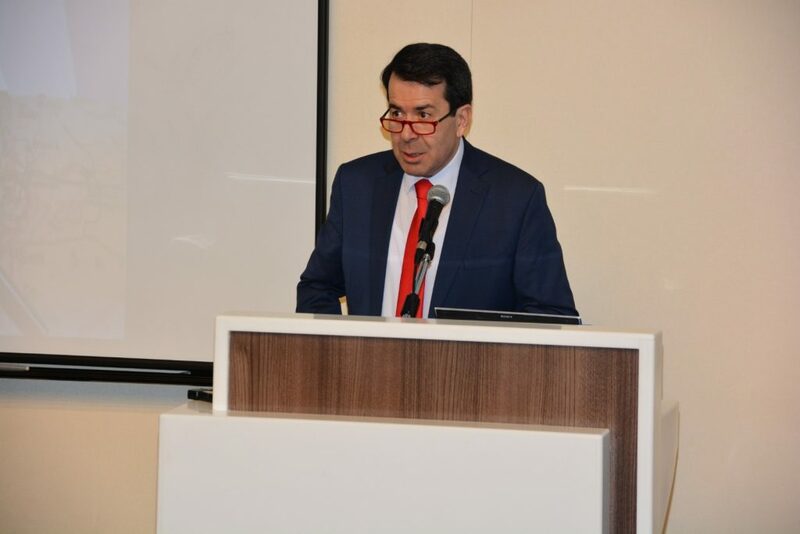 Çağatay Erciyes, acting director general at the Turkish Foreign Ministry, told the conference that while Turkey – the only country that recognises the TRNC – had not completely ruled out a federation for Cyprus, it was not insisting on a particular solution model either. “We are open to all kinds of new ideas as long as the political equality of the Turkish Cypriots is ensured,” he stressed. Other speakers at the NEU conference included Emabrgoed! chairman Fahri Zihni, former adviser to Rauf Denktaş Ergün Olgun, and a number of academics from the TRNC, Turkey and other countries.